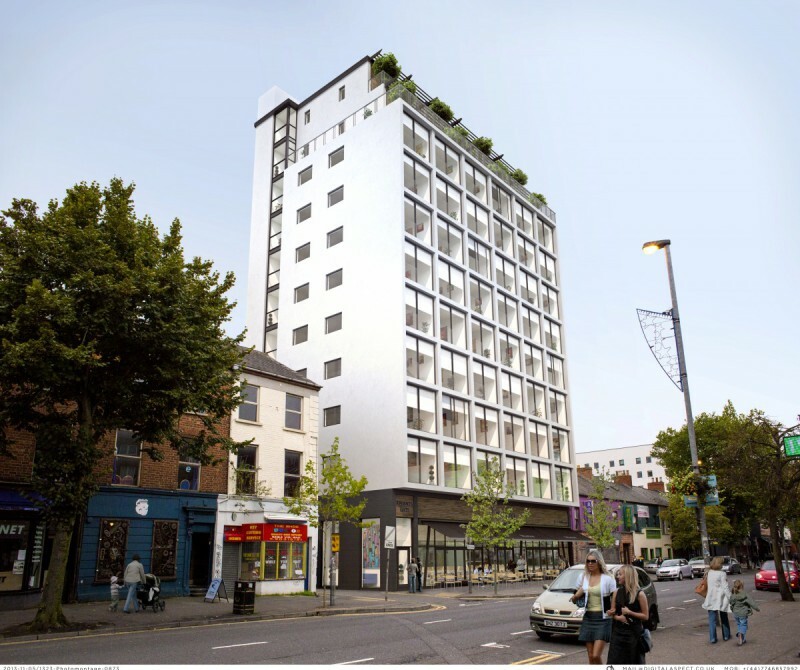 Clyde Shanks was appointed to secure full planning permission for a nine storey apartment and ground/mezzanine café on Belfast’s Dublin Road for Gary McCausland’s Richland Group. This involved researching building height and planning commitments in the wider area and engaging in pre-application discussion with the local Planning team to secure permission that includes 58 apartments. It is the first notable apartment development to come to the market in Belfast post-recession. Construction began in June 2015 and is due to be completed in Autumn 2016.